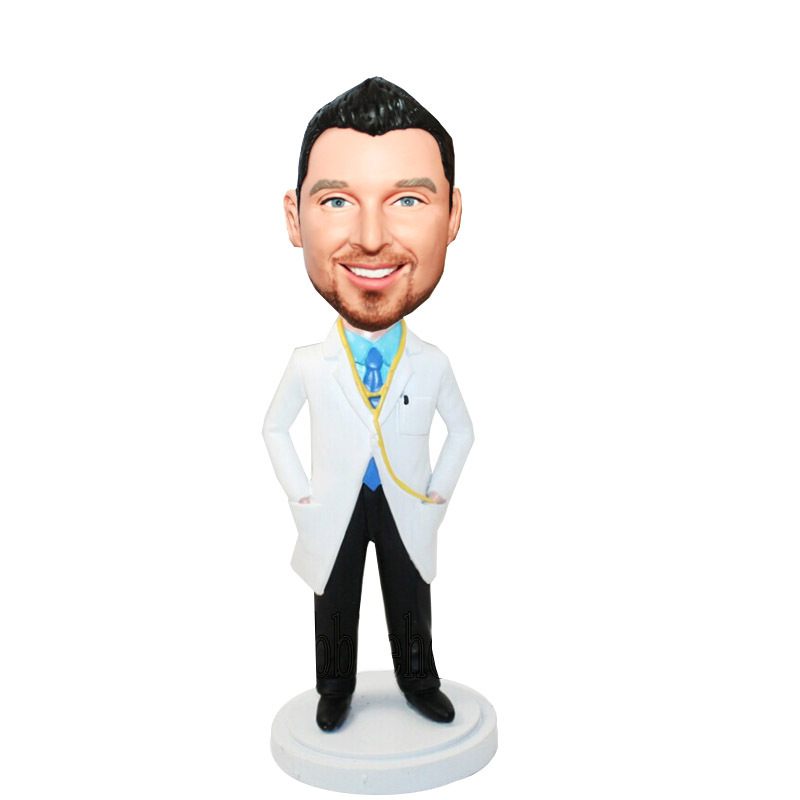 This bobblehead features a male doctor in pants and standing 7 inch with hands in lab coat pockets. 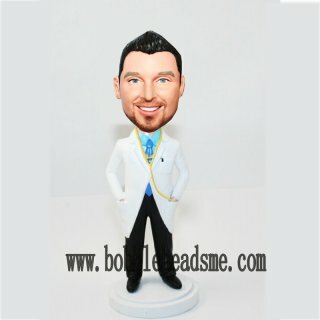 The details like pen on the pocket and stethoscope around the neck are 100% hand crafted by the skilled artists. 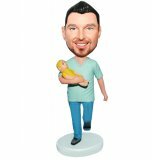 If you make it to resemble your doctor buddy, he will be surprised by such a funny and thoughtful gift!